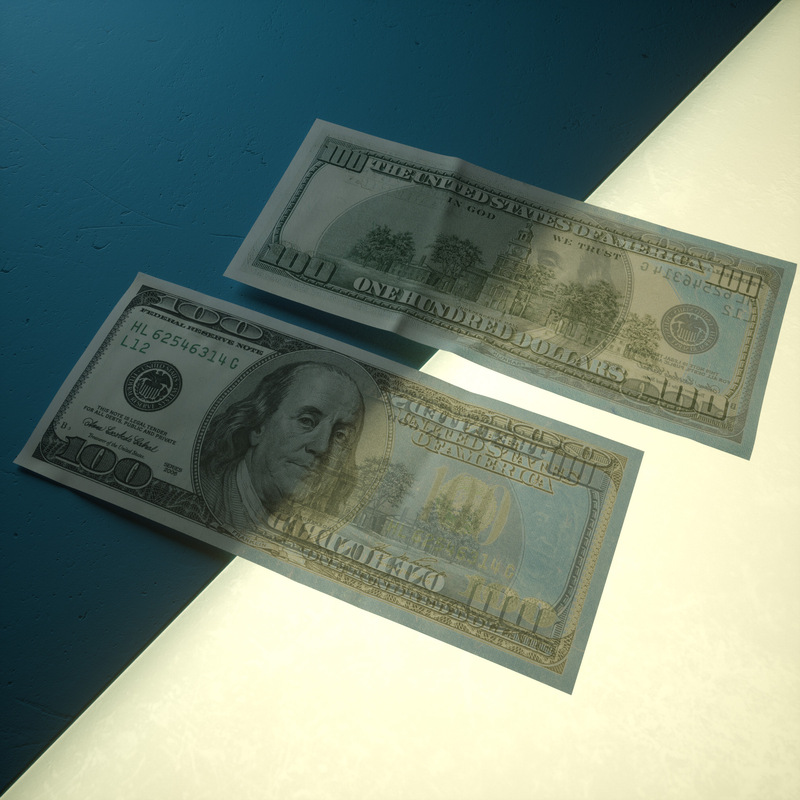 I have been playing around with Octane trying to come up with a realistic render of paper, particularly money. This is where I am at right now. I am pretty happy with the result, but I would really like to hear your opinion. Maybe some advice on how to improve it. I know the backlit texture is a bit off, will have to line up front and back texture better. Renderd in about 3.5 minutes. Please see image in full size for details. Looking forward to your opinion and advice. Last edited by shishkovdima on Sat Mar 18, 2017 1:59 pm, edited 1 time in total. You can use polyside. I am adding picture of octane user. Buraq wrote: You can use polyside. I am adding picture of octane user. Thank you. Basically I have very similar setup. 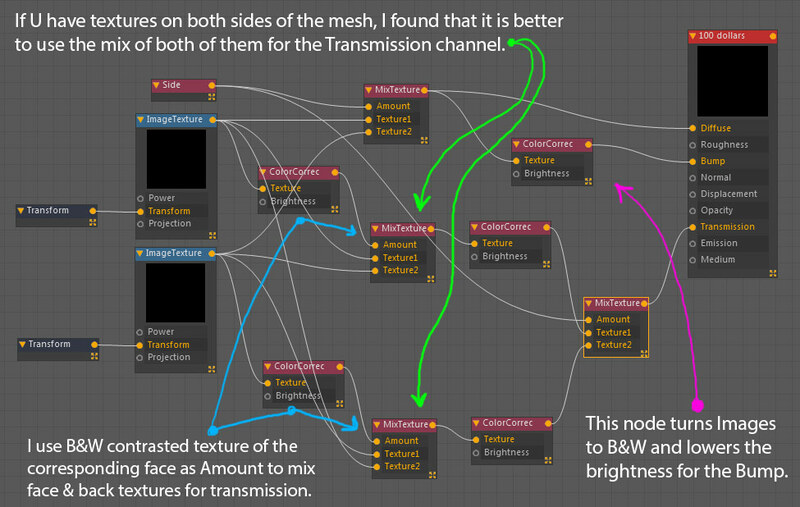 But the render when looked at it today needed more transmission effect. So here is the new variant. I increased the transmission and dimmed the overall light. Last edited by shishkovdima on Sat Mar 18, 2017 2:00 pm, edited 1 time in total. wastzzz wrote: now it's perfect! Thank you! Yes, I really like the result. Will post my materia setup today. Maybe someone will be interested. Last edited by shishkovdima on Sat Mar 18, 2017 2:01 pm, edited 1 time in total. I would be only happy if someone finds it useful. The setup itself is pretty simple, but it takes some time to tweak the numbers to get the result you want. 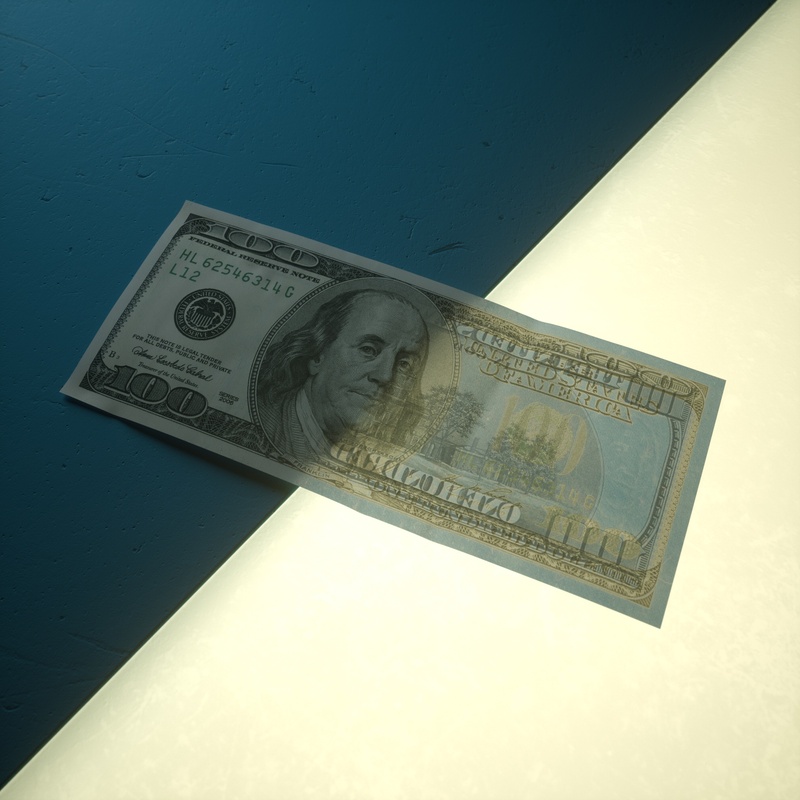 In terms of the translucence, it's looking pretty good but I think you're missing the look of fibers/surface bump in the paper (not wrinkles or creases, actual tooth of the paper), in both the dollar bill and the register receipt. I've been working with matte paper renders alot lately and it helps to scan in a blank piece of black or grey paper and use that as source material to create a subtle roughness and bump. it might be good to experiment with using that for translucence in your tests too.